ARADA has announced that BIC Contracting LLC (BICC) has been awarded the first infrastructure package, worth AED103 million, at its landmark Sharjah megaproject, Aljada. The total infrastructure package for the 24 million square foot project, which has been designed by global engineering contractor Jacobs, will be worth more than AED1 billion. The scope of work includes the construction of power, water and communications networks, as well as landscaping and building roads. BICC will mobilise on site immediately and the work will be completed by October 2019. Phase 1 of Aljada consists of 14 apartment buildings, totalling 1,300 units, as well as more than 100 townhouses and semi-detached villas, and is scheduled to be completed by the end of next year. Construction at Aljada is already in full swing, following the development’s official groundbreaking in April, with contractor MBCC on site and building the first four apartment blocks in the AED24 billion project. BICC, formerly known as HLG Contracting, is one of the UAE’s most prominent contractors and has worked on many of the Middle East’s most important projects, including the expansion of Dubai International Airport, Zayed University in Abu Dhabi and the Burj Al Arab. BICC is part-owned by CIMIC Group, a global infrastructure, mining, services, and public private partnerships group that is listed on the Australian Securities Exchange (ASX). 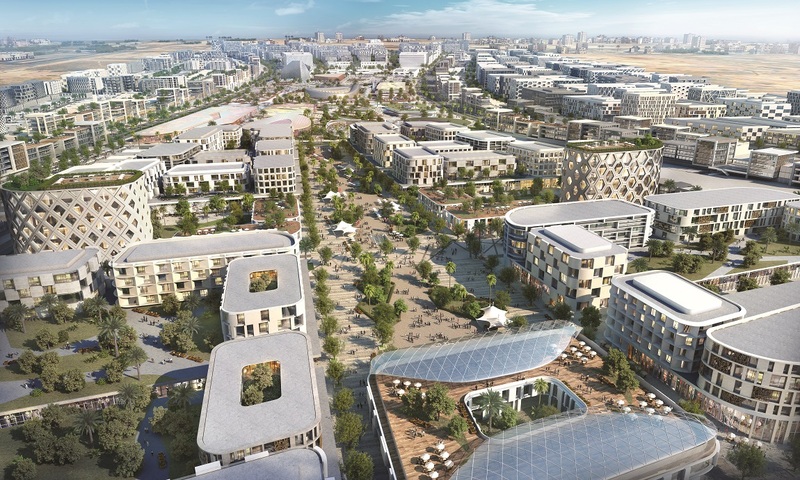 The news follows ARADA’s recent announcement that Sharjah’s first smart homes would be based in Aljada, via the introduction of next-generation technology to the development’s Misk Apartments buildings. In April, ARADA announced the launch of East Village, a 15-building creative community targeting the younger generation, which constitutes Phase 2 of Aljada. Also in April, ARADA signed a management agreement with Emaar Hospitality Group to bring three new hotels, The Address Aljada Sharjah, Vida Aljada Sharjah and Rove Aljada to the megaproject. In January, the developer also confirmed that Jacobs had won a key contract to design the infrastructure for the project.